Took place on Saturday, 23rd September, 2017. For Photos of the President's Drinks Reception - Please click here. If you haven't done so already, please let us know if you are intending on coming along on the day. and here for a list of ATTENDEES that we know about so far. We look forward to seeing you all on the 23rd. Contact osb@stbeesschool.co.uk for further information. For Photos of the day, please click here. PHOTOGRAPHS - Please click here to see Photos from the day. Please click here for details and Booking Form. Please click here for Programme for day. Took place on Saturday 13th September, 2014. A full report will be given in the next Bulletin in January 2015, but in the meantime photos from the day may be seen here. Please click to view Batch 1, Batch 2 and Batch 3. Also, Louise Ling's Dinner for 2003/2004 Leavers was held on the Saturday night and was a tremendous success. Everyone present had an excellent evening. To see some photos from the evening, please click here. The Annual General meeting of the Society, for which the minutes may be seen by clicking here, was followed by a service in the school chapel. Lunch was then taken in the Foundation and, during the afternoon, matches were played at hockey (OSB 1 v School XI 0) and rugby (OSB ‘40 and over’ 12 v OSB ‘18-40’ 21). The afternoon’s events were concluded with a reception hosted by the Headmaster. Those who signified their attendance in advance are listed by clicking here along with others who ‘signed-in’ or whom we know were present on the day. Please click here to see some further photographs from the day. may be seen in two parts by clicking here - Part 1 and Part2. The Annual General Meeting of the Society was followed by a service in the school chapel, which commemorated the life of P.C. Bill Barker (G/SH 78-83), whose tragic death occurred in the Cumbria floods in 2009. A plaque was unveiled and a tree planted in his memory. The service was conducted initially by the school chaplain, Clifford Schwarz, and then by the vicar of Egremont, the Rev Richard Lee. at hockey (OSB 5 v The School 3), rugby (Blues 36 v Reds 32) and golf (The School 2 ½ - OSBs ½). Events concluded with a reception hosted by the Headmaster. Those who signified their attendance in advance are listed in the attached document along with others whom we know were present on the day. Please click here to see list of attendees. 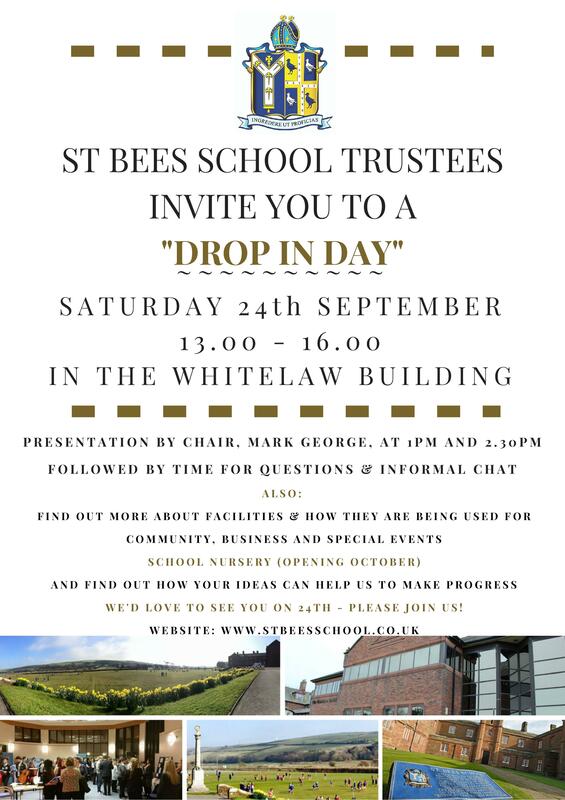 in the Whitelaw Building on Saturday 15th September 2012 at 10.30am. Please click here to see the AGM Minutes.